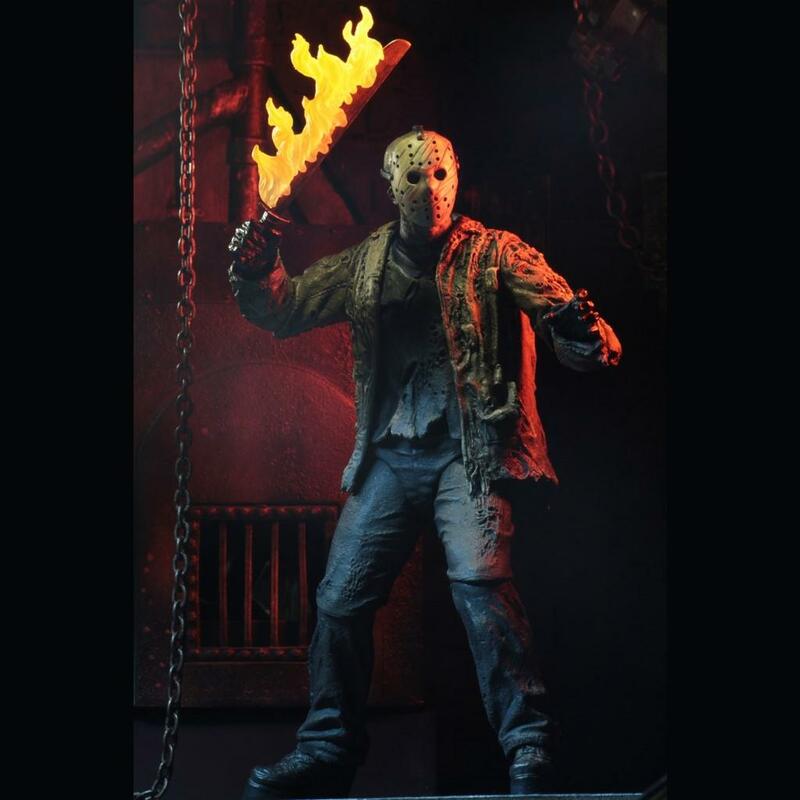 NECA introduces this all new Ultimate Jason Voorhees action figure based on his appearance in the 2003 slasher movie, Freddy vs Jason. 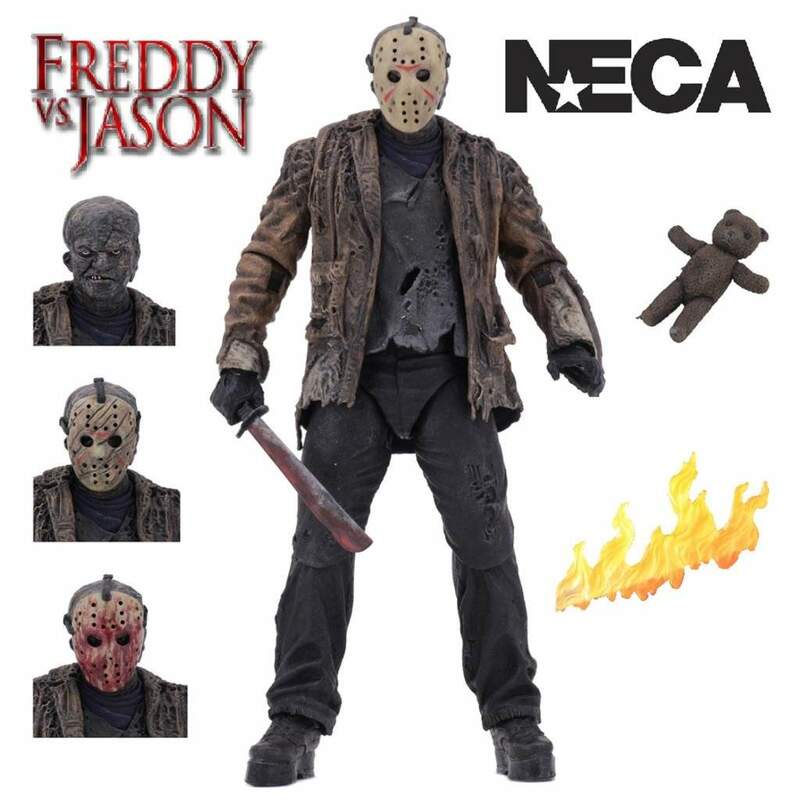 In 2003, the epic slasher mash-up movie Freddy vs Jason was released and now NECA brings you the revenant Jason to their Ultimate line of action figures! Freddy Krueger resurrects Jason so he can terrorise the residents of Springwood and go on a murderous rampage once again but Jason won’t step aside for Freddy so while a battle commences, the terrified town is caught in the middle of it. 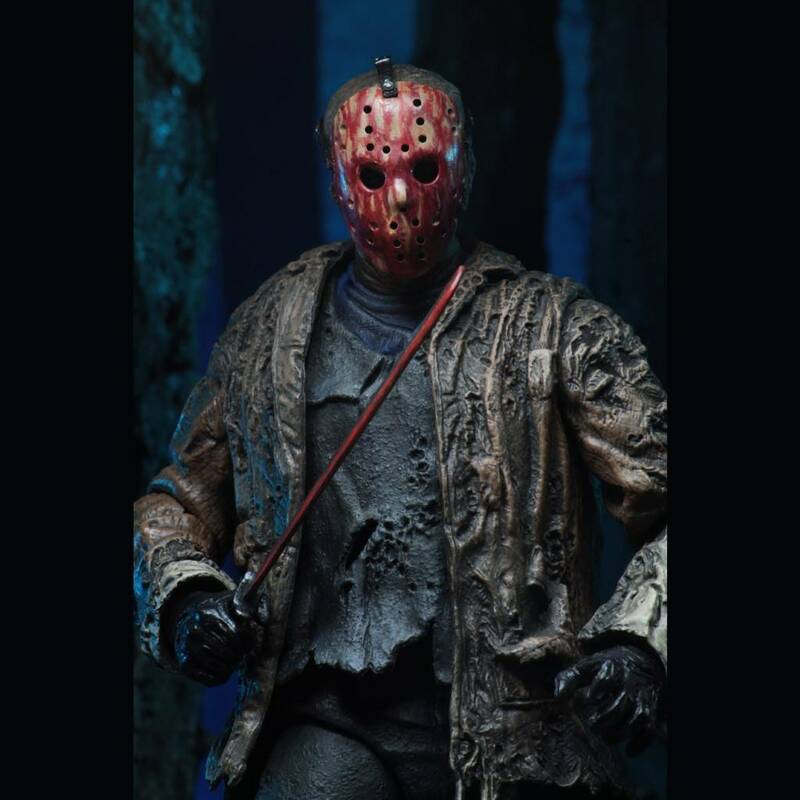 Jason is a more sizable figure compared to the other Ultimate Jasons, and it's appropriate for a horror showdown on the movie’s scale. 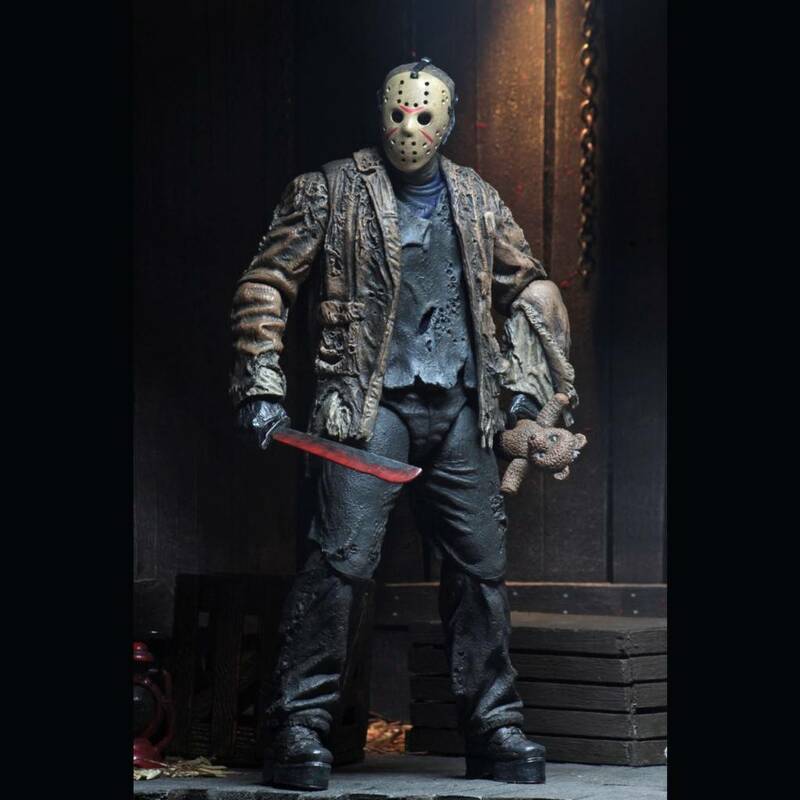 This 7" scale Jason features 3 removable masks, a teddy bear and 2 machetes including a regular and bloody version plus a fire effect, which can be attached to either one of the machetes to recreate the final blistering battle. Comes packed in a display-friendly window box with opening flap. 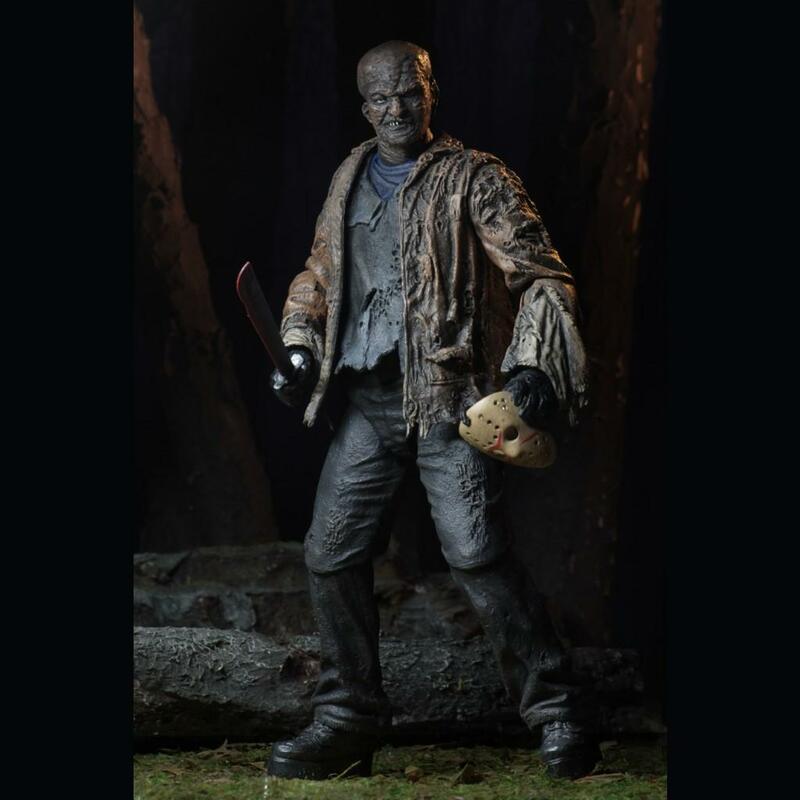 A great collectible for fans of Freddy Vs Jason.